للمسافرين الذين يرغبون أن يعيشو كل ما تقدمه سيدني, ذا يورك باي سويس بيلت هول هو الخيار الأمثل. يمكن من هنا للضيوف الاستمتاع بسهولة الوصول إلى كل ما تقدمه هذه المدينة النابضة بالحياة. يوفر الفندق بفضل موقعة الجيد وصولاً سهلاً إلى أهم معالم المدينة.
. إن الخدمات التي يقدمها ذا يورك باي سويس بيلت هول تضمن للنزلاء إقامة مريحة. يقدم الفندق فرصة للاستمتاع بشريحة واسعة من الخدمات بما فيها: واي فاي مجاني في جميع الغرف, مكتب الاستقبال على مدار الساعة, مرافق مخصصة لذوي الاحتياجات الخاصة, تخزين الأمتعة, واي فاي في المناطق العامة . في ذا يورك باي سويس بيلت هول غرف نوم يزيد عددها عن 110 صممت بذوق وعناية لتوفر لك كل وسائل الراحة . بعضها يحتوي أضاً على غرفة معيشة منفصلة, تلفزيون بشاشة مسطحة, كاشف دخان, غرف لغير المدخنين, مكيف هواء. يقدم الفندق خدمات رائعة كمثل حوض استحمام ساخن, مركز للياقة البدنية, ساونا, حمام سباحة خارجي لمساعدتك على الاسترخاء بعد نهار طويل من النشاط والتجوال في المدينة. اكتشف مزيجاً ساحراً من الخدمة الاحترافية والخيارات الواسعة من وسائل الراحة والمتعة في ذا يورك باي سويس بيلت هول. يرجى العلم أن معاملات البطاقة الائتمانية يُطبق عليها رسم تجاري نسبته 2%. رسوم إضافية على البطاقة الإئتمانية بقيمة 50AUD مطلوبة عند تسجيل الدخول كمبلغ تأمين للأجور أو الأضرار خلال الإقامة و سيتم إسترجاعها عند المغادرة. يتاح انتظار السيارات لقاء رسم إضافي، وعلى النزلاء الراغبين في حجز مكان، الاتصال بالعقار بعد استلام تأكيد الحجز. Booked a studio room, but it was more like a 1 bedroom apartment with a balcony. Which was great. The room was spacious with a kitchen, bathroom and laundry. The room looks a little out dated but it is very clean. Staff was friendly. Had no problems checking in and checking out. 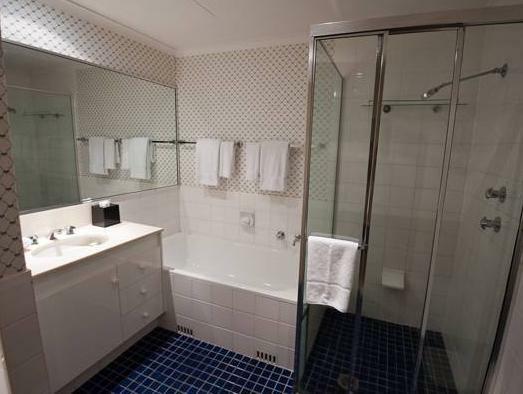 Location-wise, the hotel is close to Wynyard station and not a far walk to Circular Quay and the Rocks. Dear Ron and Ann, We are delighted to hear you enjoyed your stay with us and that the apartment met all your expectations. We hope to welcome you back in the future. We've stayed here on several occasions and we cannot fault it. Close to Darling Harbour and the Rocks, very close to Wynyard Railway so it's great when we have an early flight to catch, we can just walk 200 m and were on our way to the airport. The gentleman at reception, Dylan, was incredibly accommodating, and an absolute pleasure to deal with. He was impressive and certainly should be commended for his excellent service. Hi Danielle, Thank you for your great review! I am so pleased you enjoyed your stay and I have passed your comments on to Dylan and management. We had stayed at this hotel for many times. 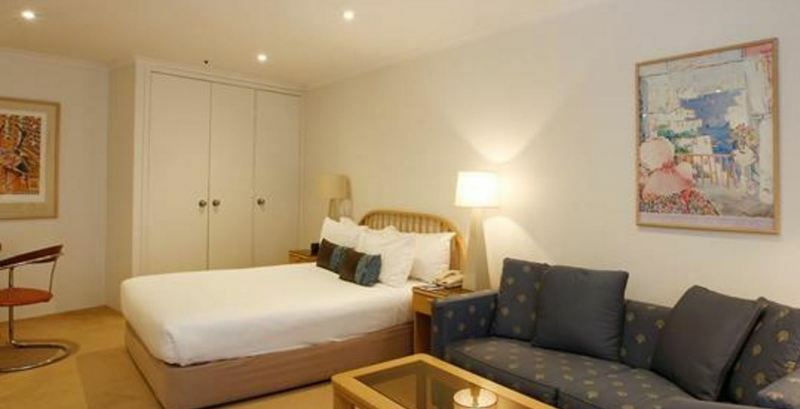 It is so centrally located and the room is spacious and well equipped with all appliances needed. 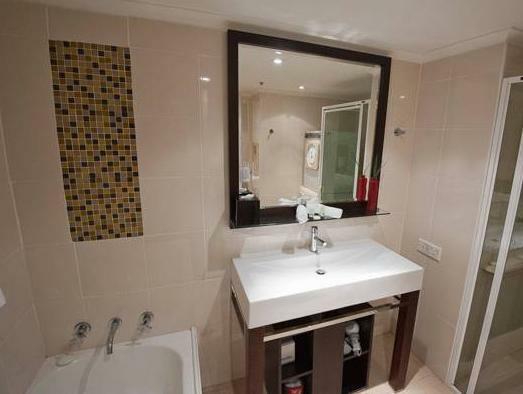 It is very close to the supermarket, train stations, bus stops and many sightseeing points with walkable distance. The hotel has been upgraded since last year. The staff are continue to be friendly and helpful. We like this hotel and will come back to stay at here once again. Thank you for taking the time to write your review Janet. It is a pleasure to welcome back guests and we are pleased to hear you enjoyed the upgrades. We hope to see you again soon! Despite being a last minute booking, Jeanette from the front desk was extremely hospitable and helped us check in and settle in comfortably. The apartment was exactly what we were looking for - clean, spacious and convenient. The location allowed us to walk to town as well as the harbour. We were also surrounded by numerous eateries that provided a variety of food. The service staff were extremely friendly and thoughtful. 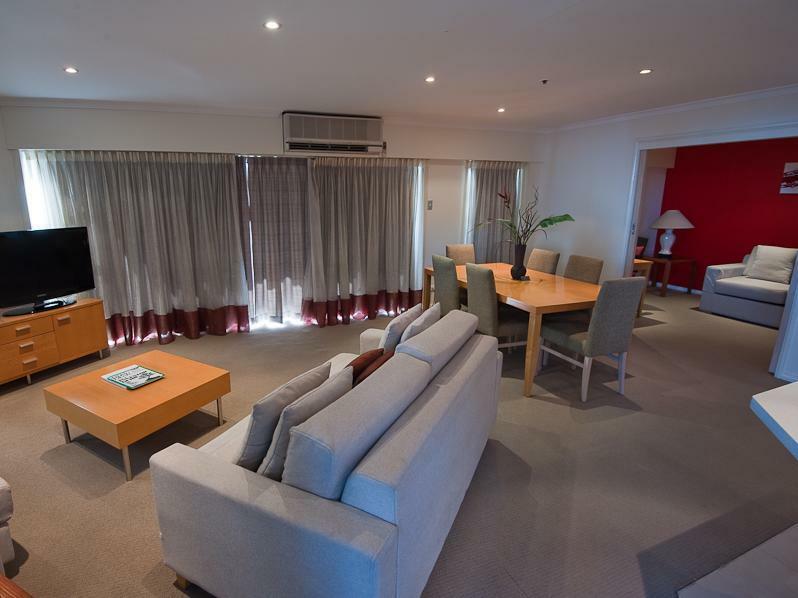 If you intend to visit the key landmarks such as the Harbour Bridge, Opera House, Botanic Gardens, Skytower and main shopping area, The York is but 10 mins leisurely walk away. 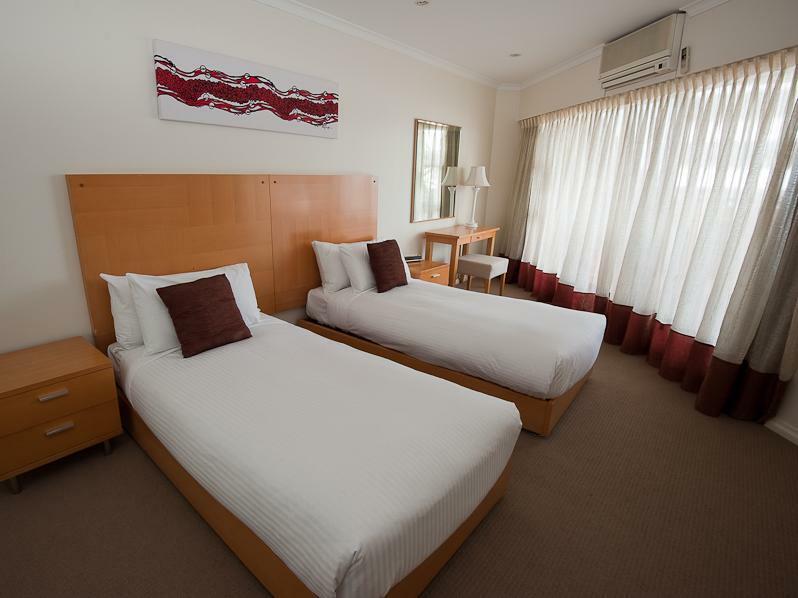 The rooms are spacious and clean with good amenities. We stayed in an 1 Bedroom apartment. Although the building is quite old, the space is really good with spacious bedroom / living room/ kitchette area. 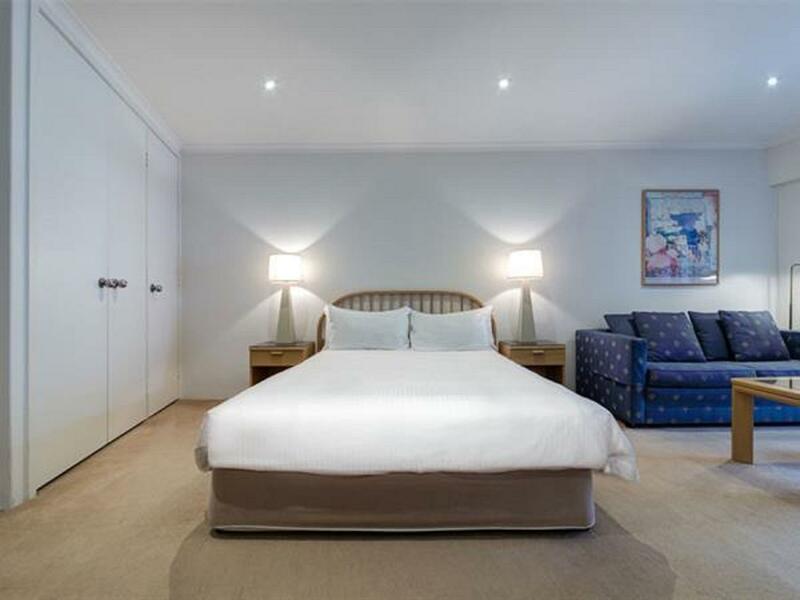 Walking distance to the Rocks and the City and only 10 mins to Paddington by bus. Will stay there again. Two bedroom suite Very good room for families or a group of friends, very nice to have a fully functional kitchen and laundry. Good location very close to airport train line. Nothing to complain about. Hi Stephen, Thank you for your review, I a glad you enjoyed your stay! Enjoyed the stay. Apartment is well equipped and spacious. Location is great, central to everything. A bit of refurbishing will make it even better, furniture a bit dated, sofa was a bit soft to sit on. The place was larger than expected. Fully equippied with a self-sufficient kitchen & balcony. More importantly, very very well kept and clean. Good job by the housekeeping crew. 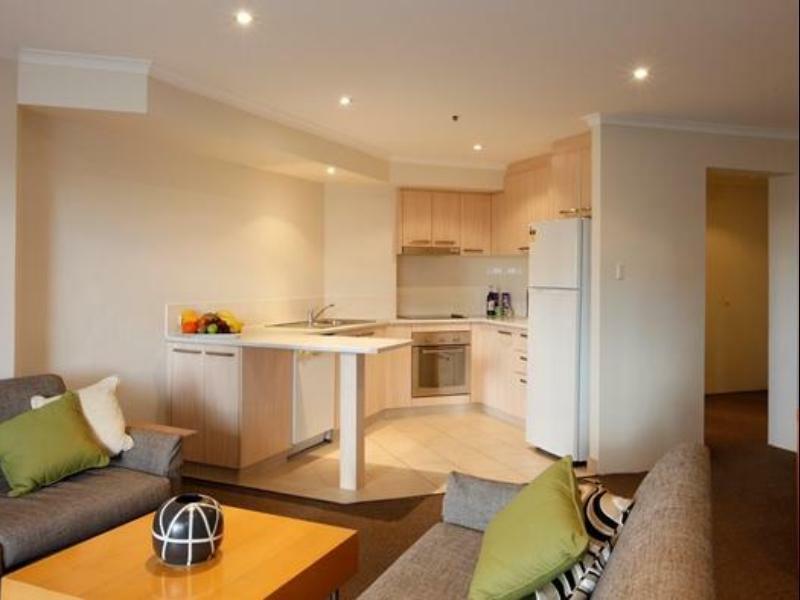 Location is good, walkable to Darling Harbour & with convenient parking (payable). Do note though that carpark entrance is slightly hidden, needs familiarizing. Wifi is quick with delicated router. Bed is very comfortable. Overall very satisfied. We had a great stay at the York. The room was perfect for us with plenty of room and the location to all the shopping, landmarks and harbor fronts was fantastic. Darling harbor is just a 10 minute walk as is circular quay. Westfield shopping center is also only 5 - 10 minute walk. Frankly speaking, this is the first serviced apartment i stayed during my holidays..I must say that i would still prefer a hotel compared to a serviced apartment. 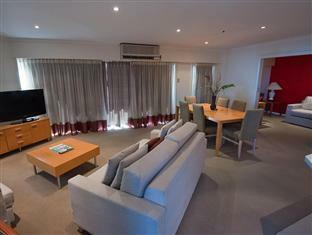 Anyway, if travel in a big group, this serviced apartment can be considered as it is conveniently located near Circular Quay and The Rocks. Walking to Darling Harbour and Chinatown is quite far but still manageable. Have easy access to George Street which is near York Street. Can take 555 free shuttle city bus, hence can tour the entire city, including QVB and Chinatown. Next to Wynyard train station and there is a starbucks nearby. Convenient shops are located around. Rooms are quite small but the living room and balcony are big. Hence, the whole apartment is in a decent size. 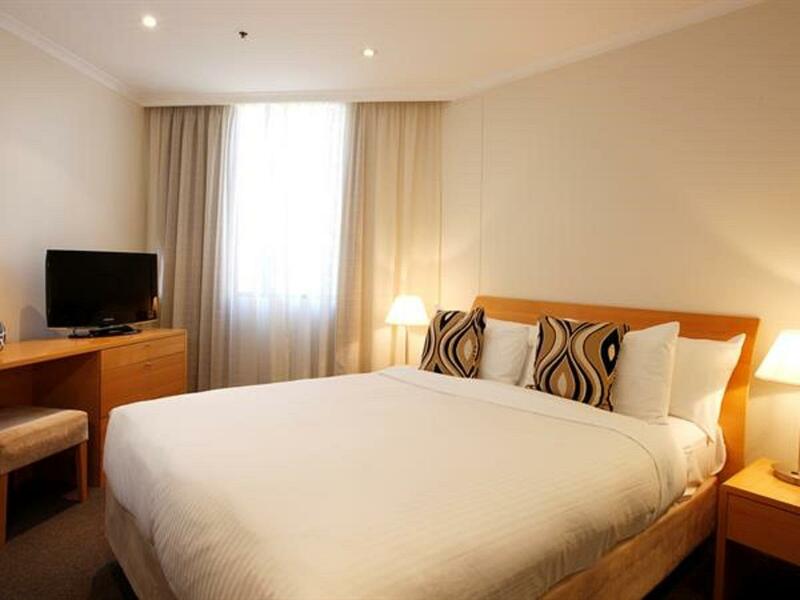 The hotel is centrally located and close to Circular quay, the Rocks , the Opera House and Wynyard train station. Our room has two bedrooms, kitchen, a large front room , two bathrooms, a study and a laundry room. Staff are very friendly and helpful. We enjoyed our stay there. If you come to Sydney in a group, I would strongly recommend it. We are appreciative of your review following your recent visit at The York by Swiss-Belhotel. We are delighted you took advantage of our central location and took comfort in our apartments. We look forward to having the opportunity to welcome you again soon. 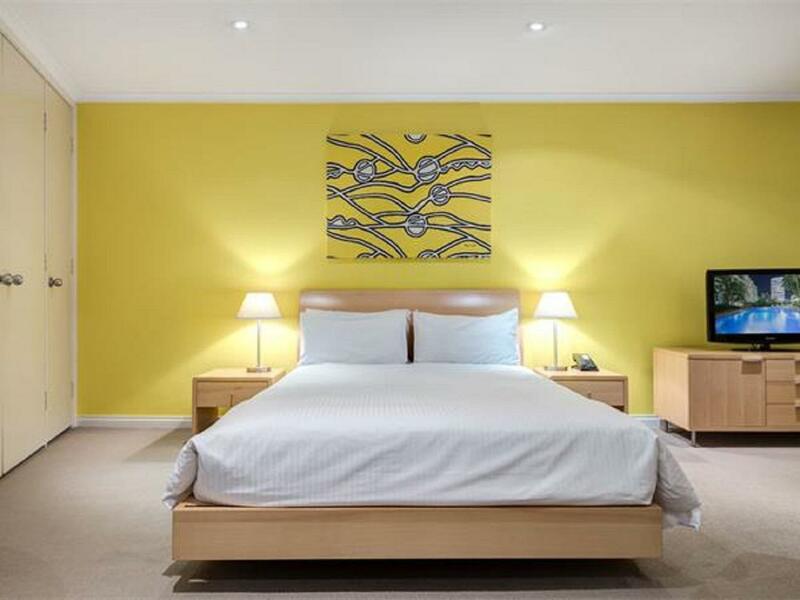 The York by Swiss-Belhotel is located in a great spot, close to metro transport and less than 1km walk to Circular Quay and The Rocks. The hotel itself is a little tired but the rooms are a spacious and comfortable. The place was clean and hotel staff friendly and helpful. Thank you for your kind words and positive feedback. I am happy to hear that you had such an enjoyable stay with us. I will be sure to thank the staff for their attentiveness and hospitality. It is always encouraging to hear such favourable feedback and I would like to thank you for taking the time to share your experience. We look forward to seeing you when you are next in Sydney. Nothing was too much trouble for the people on reception duty. Jeanette was the one I dealt with on a regular basis and she was just so helpful. One thing, please let your staff know the train from Wynyard Station to the airport is no more than twenty minutes - not one hour as I heard one staff member tell a guest. It's also far cheaper than a taxi when there is only one or two of you.